One of the most succesful Motown acts of the 80's. They consisted of siblings and their name is from their shared surname. 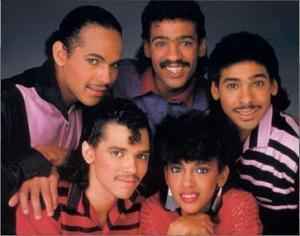 The two older brothers, Bobby DeBarge and Thomas DeBarge were members of Switch (6). They had a string of R&B and pop hits in the early to mid-80's, including "All This Love," "I Like It," "Love Me In A Special Way," and "Rhythm Of The Night." They recorded six albums from 1981 up to 1991. Bunny DeBarge, Chico DeBarge and El DeBarge had solo careers.